QLD’s eminent Koto performer, Takako Nishibori brings the classic sounds of Japan alive through her mastery of the Koto. Takako was born in Otsu, Shiga Japan. She started playing the koto at the age of six. Takako studied the Koto with Grand Master Shizu Fujino (a student of Michio Miyagi) from Ikuta Ryu Miyagi school. She commenced her studies of the Shamisen, at the age of 16. In 2000, Takako received her teaching license from the Miyagi school of Tokyo. She was placed in the top ten for all of Japan. Takako’s first visit to Australia was in 2001 as an exchange teacher. During this time, she performed for various schools in NSW and ACT and began to explore new ways of playing the Koto. After returning to Japan, Takako moved to Newcastle in order to commence a Masters of Educational Studies. After her completing study, she moved to Brisbane in 2005. As a language teacher back ground, Takako has developed practical language teaching method through music teaching that still some schools employ. 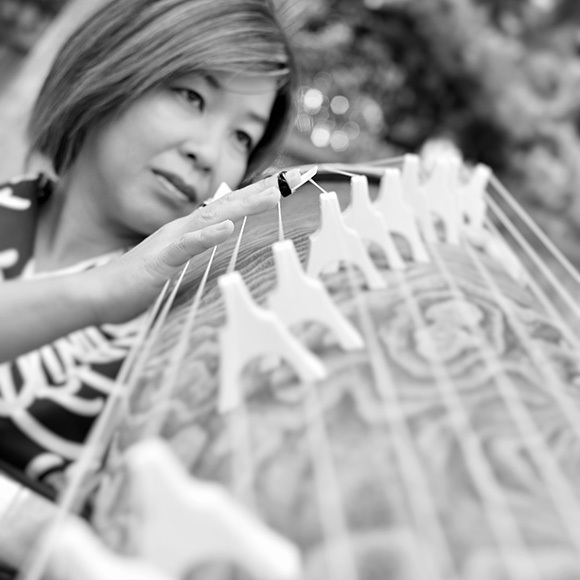 Takako is a regular performer as both a solo koto performer, and in various ensembles and as a session musician. 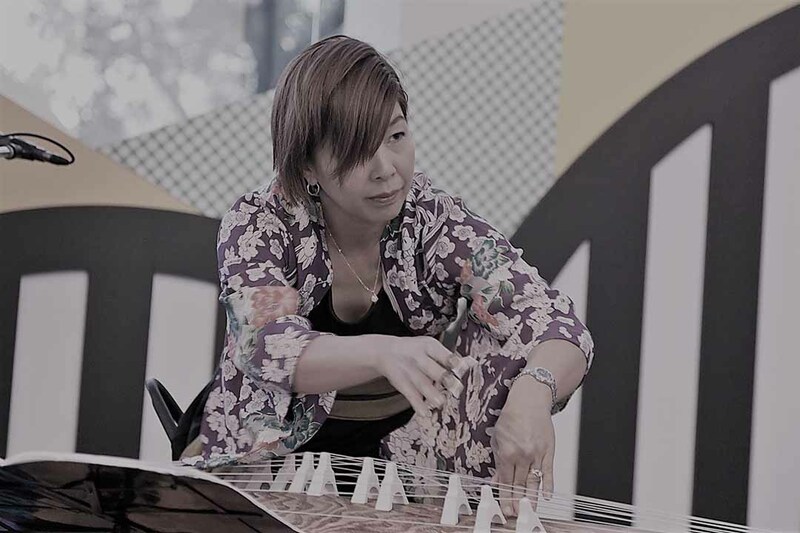 She performs classical Japanese pieces, as well as exploring new boundaries with the Koto in contemporary music, as she creates a new style fusing Koto with other instruments. Recent performances have included numerous tours of North Qld, Planet series at Powerhouse with Bashow Kanagawa from Japan, The BrisAsia Festival, Brisbane City Hall concert series, G20 reception and headlined the BEMAC 2015 production “Utamono”. Takako was featured in an episode of “Good Chikyu-bin” (YTV, Japanese television, 2016). Takako is also a regular sessional academic at the University of QLD, regular presenter of composition camp at Qld academy of creative industry at QUT and curates an annual concert at St John’s Cathedral. Takako is the founder of Koto Brisbane.